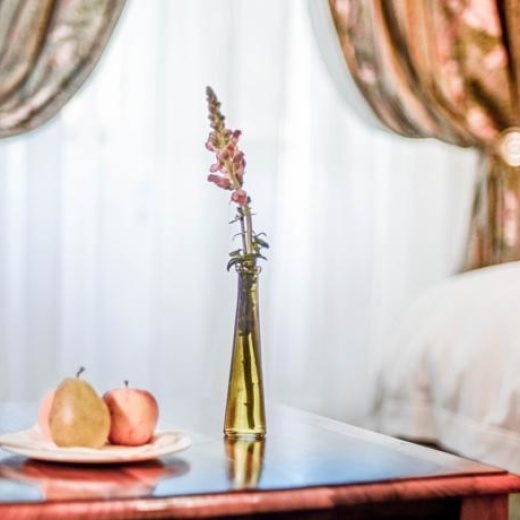 The room is furnished with two three quarter beds and covered in 100% cotton percale linen. 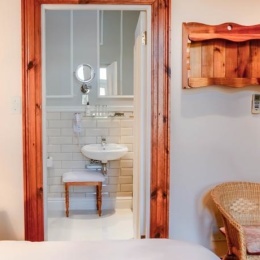 The room has an en-suite bathroom with a separate bath and shower. The room has a balcony offering a place to sit and enjoy the views. Each room has a fridge and coffee making facilities, as well as air-conditioning and brand new 320-thread count percale linen.